The Beatles sang, “I get by with a little help from my friends.” And never a truer lyric was sung. None of us get by on our own. We all seek out help, advice and assistance, especially when it comes to running a business and your inventory management. And while we don’t think the Fab Four had inventory management in mind when they wrote this catchy tune, we can’t help but think it applies. Inventory management, like the kind Great Western Containers provides to our customers, can help you get by a little better. When you utilize our inventory management, you access three distinct advantages. First, you have access to our technologies that we have already invested in. Secondly, you have access to our specially trained employees. Lastly, you can deal in larger quantities without having to make significant investments in space. Great Western Containers has numerous warehouses across Canada spanning from Vancouver, BC to Moncton, NB. As we have grown and expanded, we have invested in technologies to manage inventory and coordinate services across these many sites. This cross-coordination across the country allows for companies in one part of Canada to get their products easily to other provinces simply and efficiently. We have also invested in technologies that allow us to recondition and recycle used containers, a highly specialized process that ensures container integrity, ensures compliance with regulations and allows for flexibility. Great Western Containers has also streamlined the ordering process for companies using our inventory management. We keep your stock sheets and know your needs and all you have to do is place your order. Then, we utilize our technologies to get you what you need where you need it. Our employees deal in one thing — containers. Our training, our mission and our passion centers on meeting your container needs and we’re not satisfied until you are. We consider every aspect of containers from accessories all the way to how to responsibly dispose of them. Our singular focus has helped us become leaders in the container industry. Unless you also work in the container industry, you probably don’t have employees with these specialized skills. Through our inventory management services, our skilled employees can help you achieve new efficiencies and find creative solutions you might not otherwise find on your own. Additionally, Great Western Containers has long put an emphasis on supporting, training and developing our employees. They are the heart of our company and by supporting them to the fullest, we support our customers to the fullest as well. One thing we know from working in the container industry is that containers take up a lot of space. And one thing we know about space is that it comes at a premium. As your business grows, you may not always be able to grow with it. Rather than constrain your growth, taking advantage of our inventory management can help you grow without the added burden of finding significant warehouse space. Additionally, with our warehouses spread across Canada, you can grow into new regions and markets while still working out of your current location. Get by with a little help from your friends at Great Western Containers and learn more about our third-party inventory management services. Informative article!! 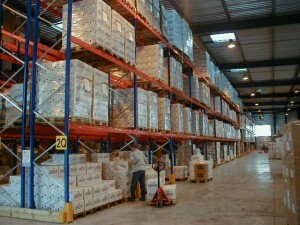 The given three distinct advantages are really effective for inventory management.